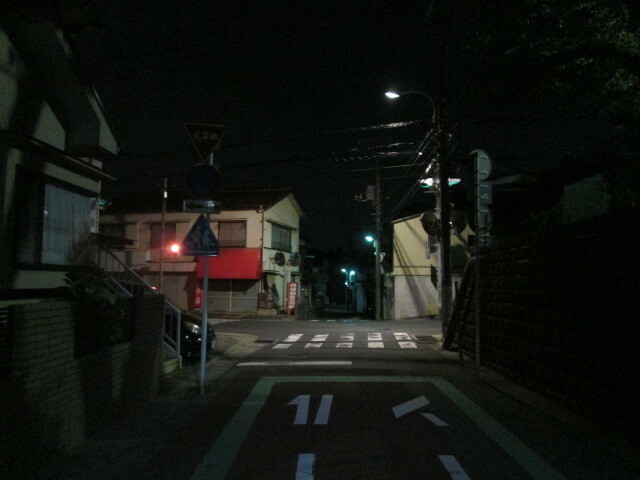 I am walking a nostalgic road. after I went to Tokyo. It is one of the few way back home there. A road that runs straight ahead from the station. there was a dining room where parents and children are doing. with the fire department earlier. It is just a little bit far from there. The sunset is a bit dark. Here, the futon shop turns to the left at a corner. Immediately there is a visiting bathhouse on the left side. I often used the coin laundry there. there is a high school where there was a murder case long ago. In addition, the district library that became indebted. As you proceed without bending, a child park on your right. Go ahead and there is my boarding house on your left. However, I could not reach that point.